*** REDUCED TO SELL!!! *** This 6 bed/6 bathroom single family property is located at Champions Gate The Retreat Resort. Ready for investors! FULLY FURNISHED AND DECORATED! The Cayman floor plan offers two bedrooms on the first floor, and owner's closet, laundry and a 2-car garage converted to game room as well. Fully equipped kitchen with appliances and kitchenware. Second floor with 4 bedrooms (two with Jack'n'Jill shared bathroom) and a nice living area. On the exterior you will love the screened-in patio area with pool, bathroom and furniture! This award-winning community will enchant your guests with tons of amazing activities on the clubhouse, such as resort-style pool, lazy river, restaurant and spa. Just a few minutes to all major Orlando attractions! 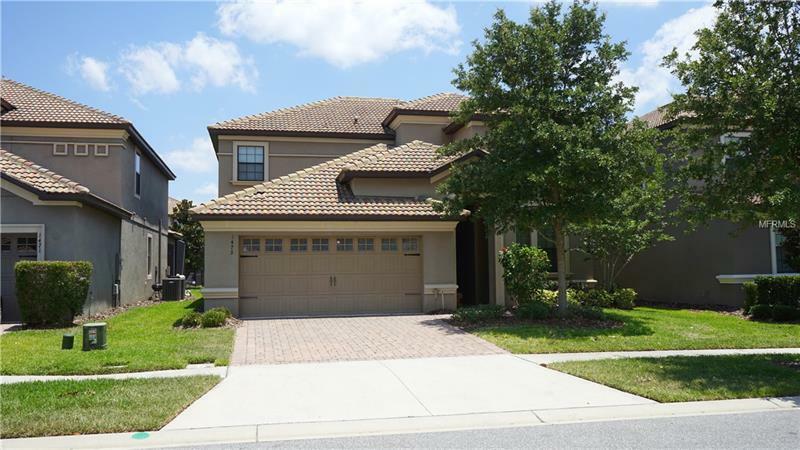 Don't miss this great opportunity to have your own home close to Disney! MOTIVATED SELLER!